Ran is like many kids: she’s tired of being told what to do. Chores at home are agony, and she’s bored at school and doing poorly on her lessons. She wants the freedom adults have. When a teacher asks her what she’s interested in, she says, “Flying.” And she doesn’t mean an airplane. But she’s also not like other kids. Her mom is a sorceress, and Ran has a special pair of sneakers that turn her into a beautiful young woman when she wears them. Her mother is often not home, something that makes Ran very sad, and her father and older brother struggle to keep up with Ran as she changes form and runs off for adventure. No one else realizes that Ran is a kid, and she gets herself into a number of dangerous or at least potentially dangerous situations. She even starts hanging out with Otaru Mikado, a wealthy, eccentric man who’ll walk out in public wearing no clothes. He typically wears clothes when Ran is around, and he’s both fascinated by her free-spirit personality and her alluring looks. He tries hitting on Ran, saying he wants to be more than friends. Not understanding, she freaks out and gets away from him. 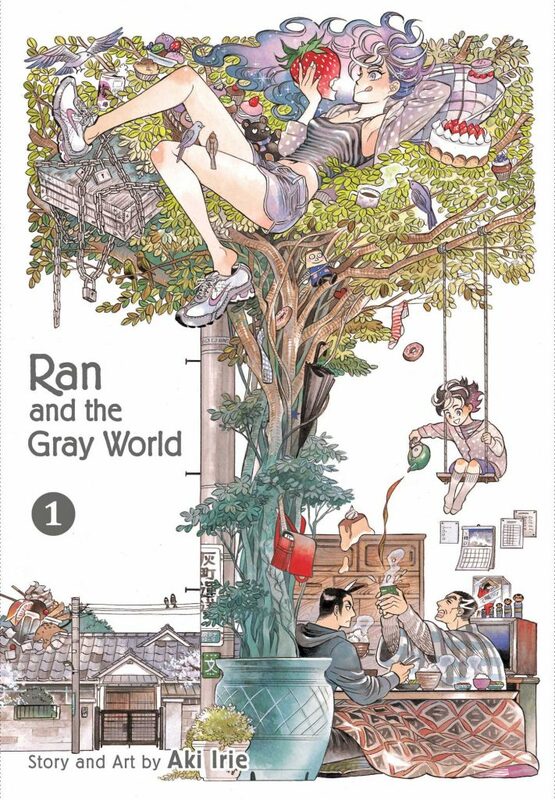 The first volume of Ran and the Gray World doesn’t have a whole lot of plot. It mainly feels as if it’s introducing characters. What happens next is anyone’s guess after the first volume, though there is a promise of Ran getting a magical teacher, which should be interesting. What makes the first volume stand out, then, would be its art and its uniqueness. While the art definitely has a manga look, it doesn’t look like the same-old, same-old cliches in some manga titles. It’s very visually appealing, and some pages and panels have a cinematic quality. The artwork is lush and detailed, both in its use of fantasy creations and its specific rendering of real life, such as its lifelike drawings of tortoises. In that sense the whole manga feels like a celebration of artistic freedom and the joy to create. 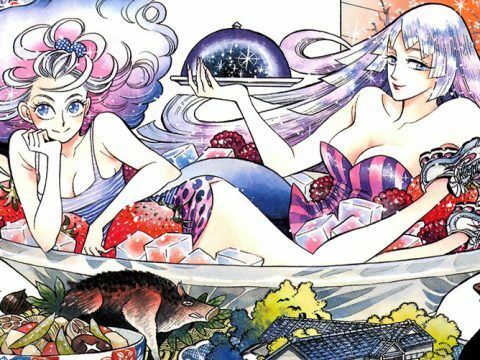 Ran and the Gray World is published by VIZ Signature, an imprint of the publisher that goes for more sophisticated and avant-garde titles.